Christmas Shopping event this Thursday! 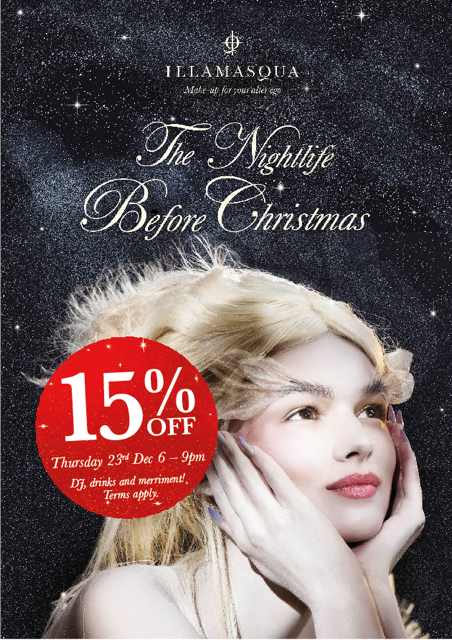 This Thursday 23rd December, Illamasqua’s Flagship store in London’s Soho will be host to an evening of festive celebrations in the countdown to Christmas. 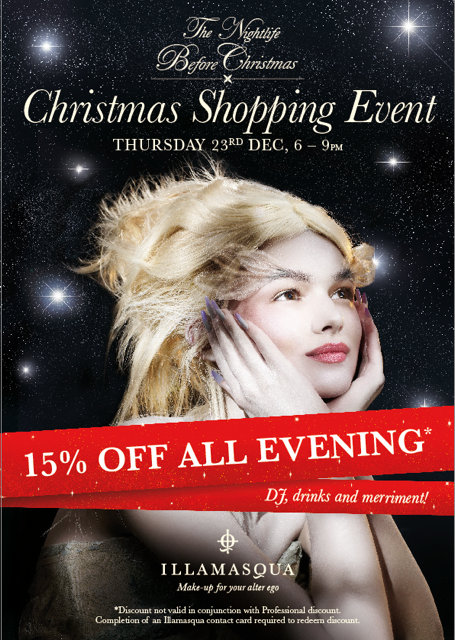 With live DJ sets and food and drink to enjoy whilst you browse the beautiful pieces in store, the evening promises to be a wonderful way to get into the festive spirit. 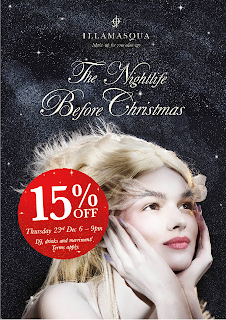 With a late night opening until 9pm…pop down to make those last minute purchases for Christmas and the New Year! *Discount not valid in conjunction with Professional Discount. Completion of an Illamasqua contact card required to redeem discount.